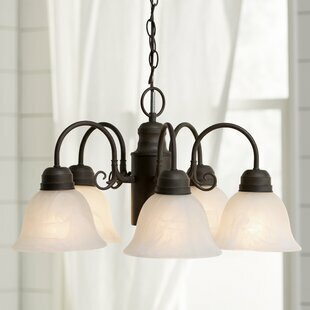 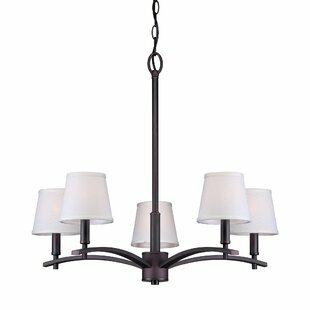 With gracefully arched arms and scrolling accents, this five-light chandelier brings a touch of classic character as it shines a light down on your space. 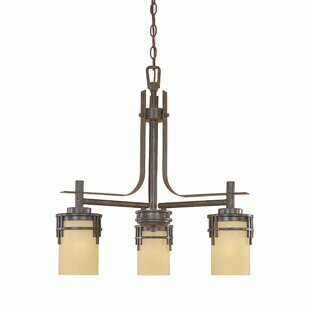 Crafted of steel in a versatile solid finish, this fixture features five bell-shaped glass shades in an etched marble white hue for an understated and approachable look. 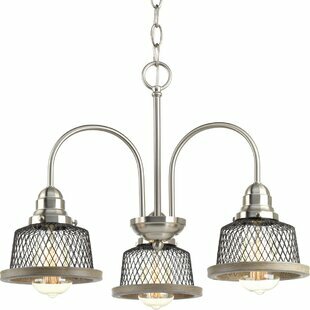 Compatible 60 W medium-base incandescent bulbs (not included) sit within to offer a boost of brightness. 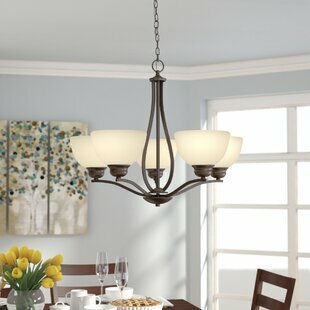 The manufacturer backs this product with a one-year warranty. 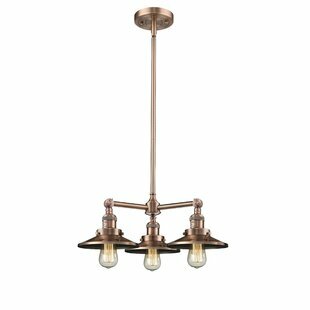 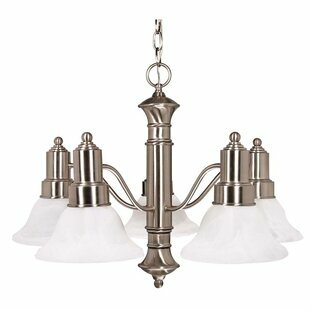 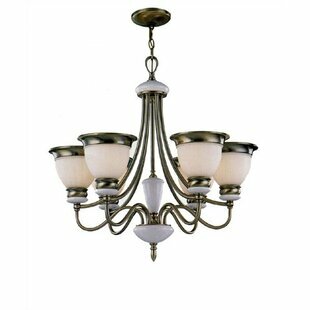 Number of Lights: 5 Fixture Design: Shaded Chandelier Adjustable Hanging Length: Yes Fixture: 13 H x 22.5 W x 22.5 D Overall Weight: 11lb.